القدرة على التعامل مع المعلومات السرية بشكل مناسب. Record new hires, transfers, terminations. Coordinate monthly invoices, all communication with the medical insurance supplier. Responsible for the recruiting cycle through recruitment channels (linkedin AMCHAM, AUC) help in the annual recruitment plan. Prepare Employees mobiles & laptops allowances sheet according to categories. تسجيل التعيينات الجديدة ، التحويلات ، الإنهاء. تنسيق الفواتير الشهرية ، وجميع الاتصالات مع مزود التأمين الطبي. مسؤولة عن دورة التوظيف من خلال قنوات التوظيف (linkedin AMCHAM ، AUC) مساعدة في خطة التوظيف السنوية. إعداد ورقة الموظفين المحمول والكمبيوتر المحمول ورقة وفقا للفئات. 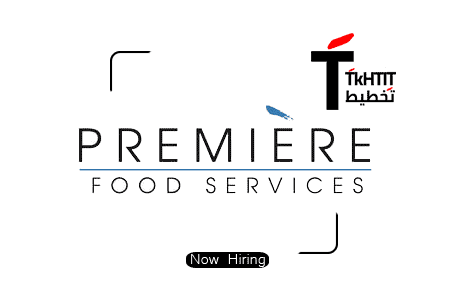 Premiere Food Services (PFS) is a retail and food service company that was founded in 2012. We offer services and product supply for the food retail & food service industry in Egypt.